BOCA RATON, Florida, February 22, 2019–(BUSINESS WIRE)–Turkcell and Airspan announce the first deployment of AirDensity to deliver coverage and capacity to the most constrained indoor locations in Turkey as well as extending coverage to rural areas and enabling development of next-generation solutions including Drone-based flying cells. AirDensity is based on the multi-award-winning AirUnity platform and part of the Airspan network densification portfolio that counts approximately half a million 4G cells deployed worldwide. This is further proof of the progress of the Feb 23, 2017, strategic cooperation announcement between Turkcell and Airspan. Airspan supports the ‘Made in Turkey’ 5G consortium with an R&D center in the Istanbul Technopark and provides regional support for Airspan’s deployments. 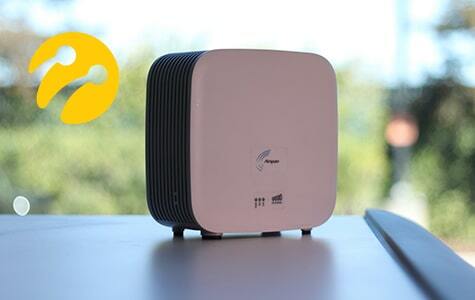 Turkcell is deploying AirDensity – the innovative all-wireless small cell to deliver world class user experience to its residential and enterprise customers, develop innovative vertical applications and remain Turkey’s leading digital operator. By eliminating traditional deployment barriers, Airspan’s extensive network densification portfolio enables Turkcell to address its densification needs in a matter of days while revolutionizing the economics of deployment. AirDensity includes Airspan’s innovative plug-and-play self-optimizing technology to reduce service turn-up times to minutes, instead of hours or days. While allowing Turkcell to deploy a network at cell edge that configures and heals itself. “We announced our partnership with Airspan one of the leading solution providers of network densification. We solved the problems like site acquisition and integrating the backhaul with AirDensity.” said Gediz Sezgin, CTO, Turkcell. Small cells are a fundamental piece of network architectures when taking into consideration future 5G use cases, Airspan is proud to help Turkcell densify its 4G network today in order to lay a strong foundation to deliver on the promise on 5G.